ONI Bureau: Here are the Morning News Headlines from Odisha today by Odisha News Insight. 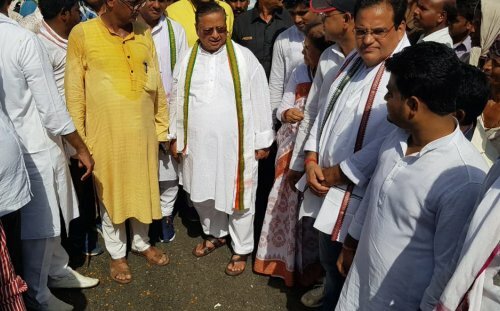 — Odisha PCC President Niranjan Patnaik throws his weight behind the agitation of Navnirman Krishak Sangathan led by Akshya Kumar. Congress supports Kisaan Long March from Jajpur to Bhubaneswar. — Remarks against MLAs: Abhijit Iyer-Mitra deposes before the House Committee of Odisha Assembly; submits affidavit. — Maoists threaten to kill 2 MLAs of Ganjam district without naming them; put up banner near Dadaralunda village chhak in Bhanjanagar. Cops are verifying the authenticity of the banner. — Girl allegedly gang raped by her boyfriend and his two friends in Pallahara, Angul. Main accused detained by police. — Dhenkanal Elephant Deaths: Crime Branch arrests 3 people including CESU junior engineer Sanjay Mohanty, Meramandali Forester Prabhakar Rana & Forest Guard Girish Dehury. — Trained elephant ‘Yashoda’ from Chandaka Godibari forest reaches Purunakote in Angul to help tranquilise Tigress Sundari.